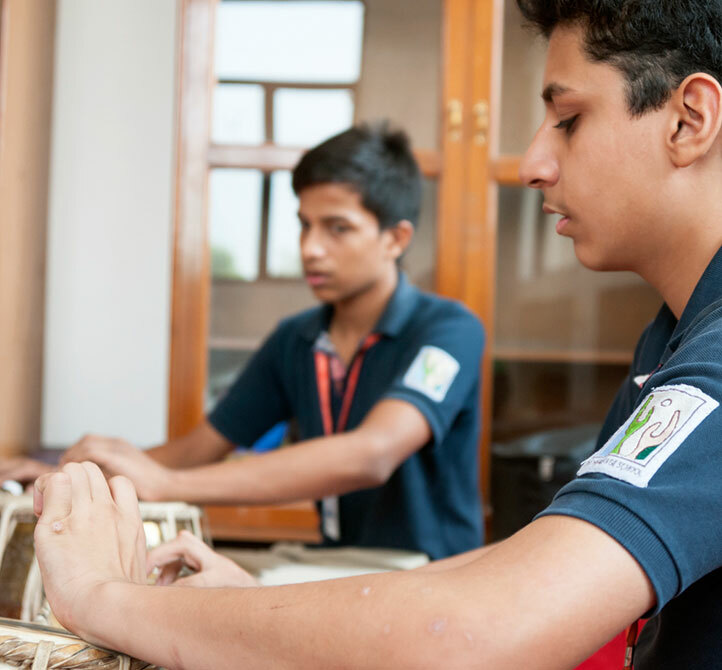 At The Heritage School, art thrives in its visual and performing forms, encompassing a diverse range of activities and modes of expression. We believe in providing students with an art education that gives them an opportunity to understand their legacy and combine it with a vision of the future. In addition to helping students nurture a passion for specific arts and crafts, we inculcate aesthetic appreciation and creativity within them resulting in a refinement of the senses and a desire to conserve one's heritage and environment. 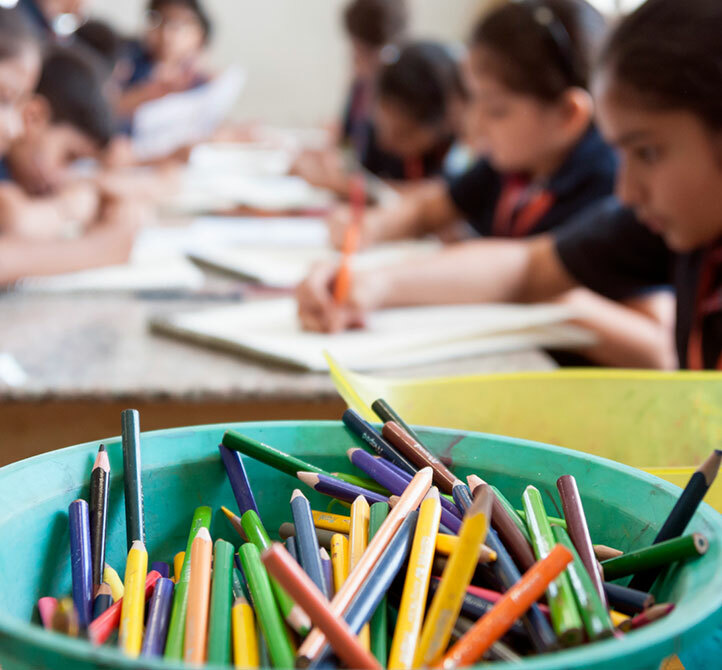 More importantly, the Arts curriculum is designed so as to integrate with other subjects in addition to the development of artistic skills and life skills (such as empathy, problem solving, decision making, etc.). The Heritage Visual Arts programme is unique for its depth and richness in terms of the disciplines that are included such as painting, sculpture and crafts. 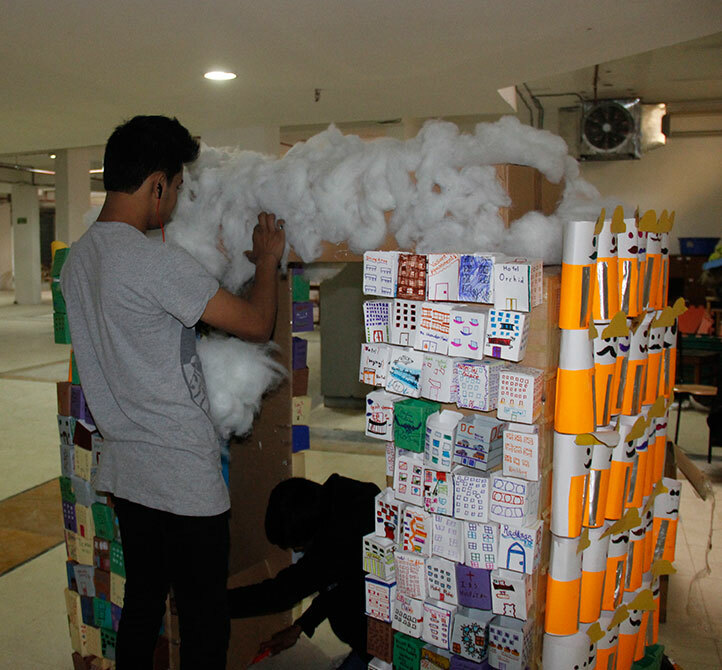 Students are not merely exposed to different forms of art ranging from folk to contemporary along with their cultural and historical significance but are also able to demonstrate their skills and aptitude for a variety of tools, techniques and materials. While in the Junior Programme they experience the sheer joy of handling colour and paper or other materials. From the Middle Programme onwards they become active participants in activities related to the visual arts such as organising the annual art festival, Western music evening, Dance, Indian music evening, Carnival etc. This helps them gain practical knowledge of management, procurement and organisation as well as skills such as problem-solving or public presentation that dovetail into other subjects. 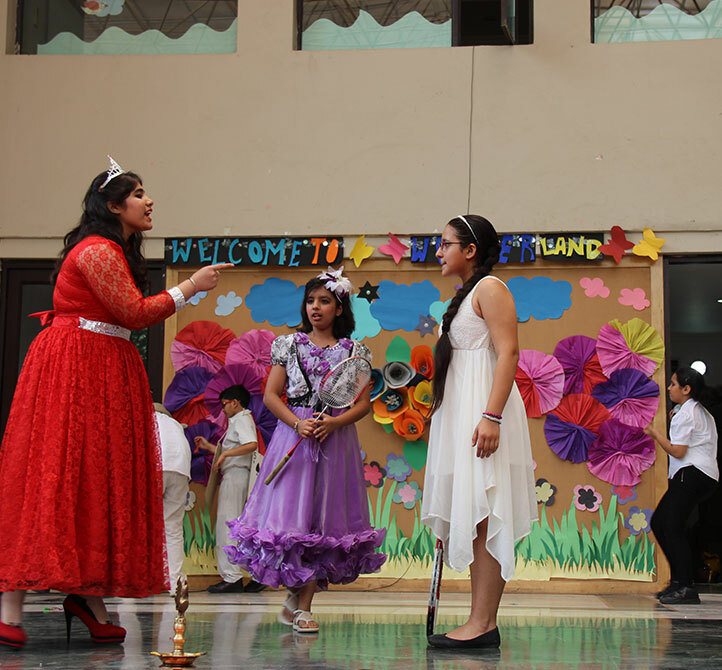 The events are specially designed to develop aesthetic and life skills showcasing all forms of visual and performing arts, giving students, teachers and parent an opportunity to associate with the art work. Our Performing Arts programme is equally vibrant. We believe that theatre is a powerful educational tool that helps children develop skills such as creativity, problem solving, communication and critical thinking. These skills are essential for success at every level, in the classroom, at the workplace, in life. Dance is also a joyous expression of the children’s creative instincts. 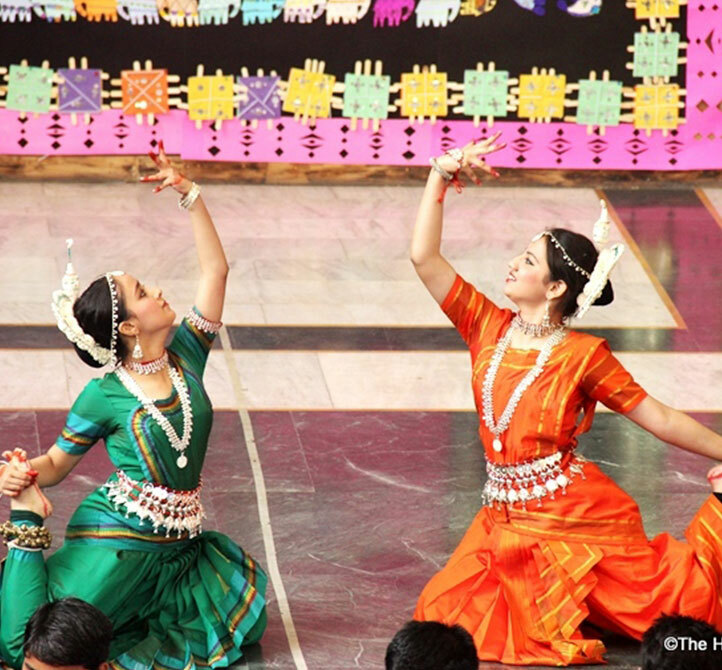 All forms of dance are explored and understood ranging – from folk to traditional. Learning during dance classes is integrated with the learning in other subjects.